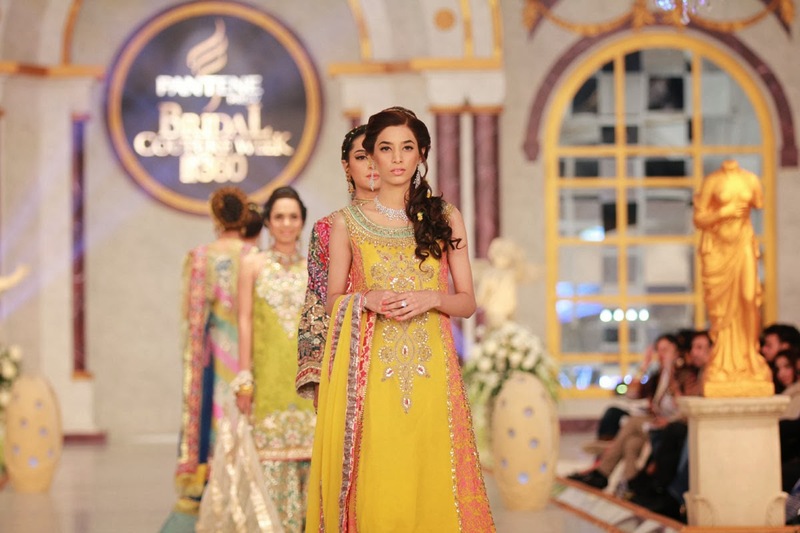 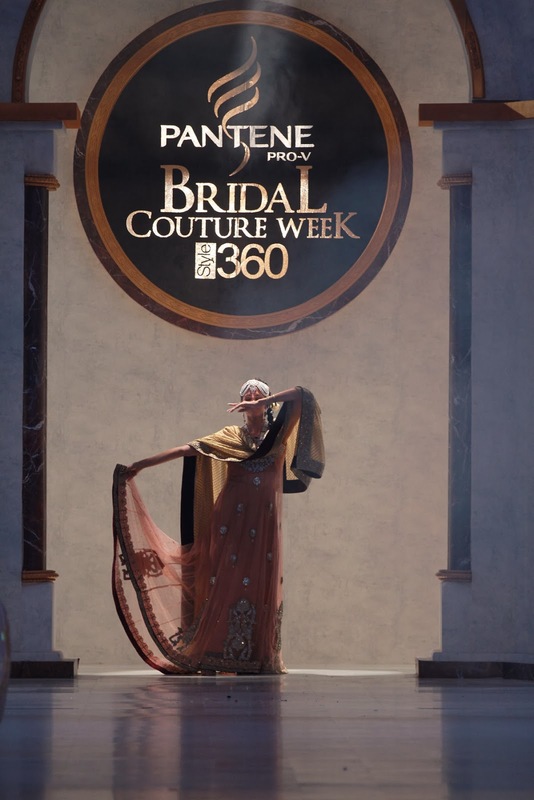 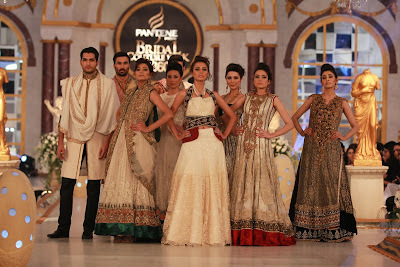 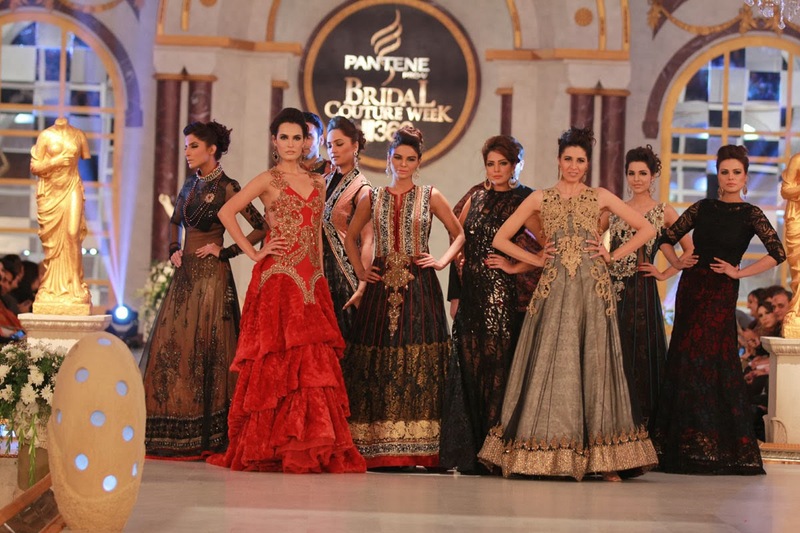 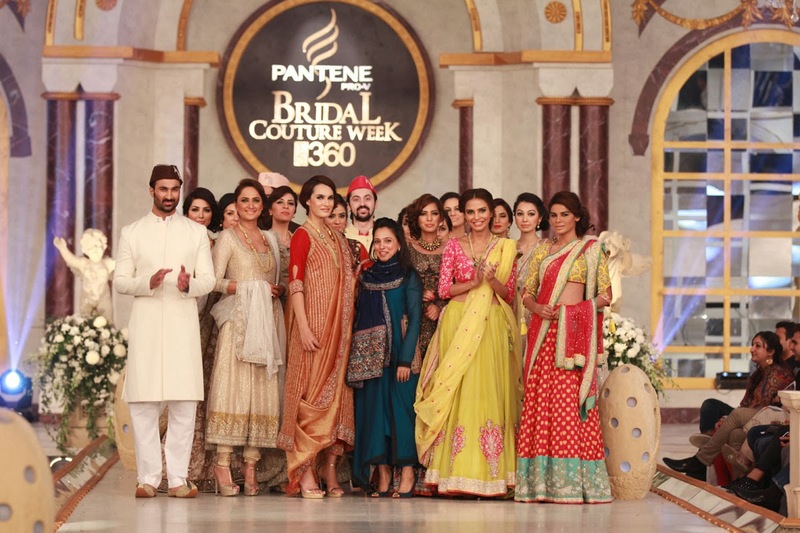 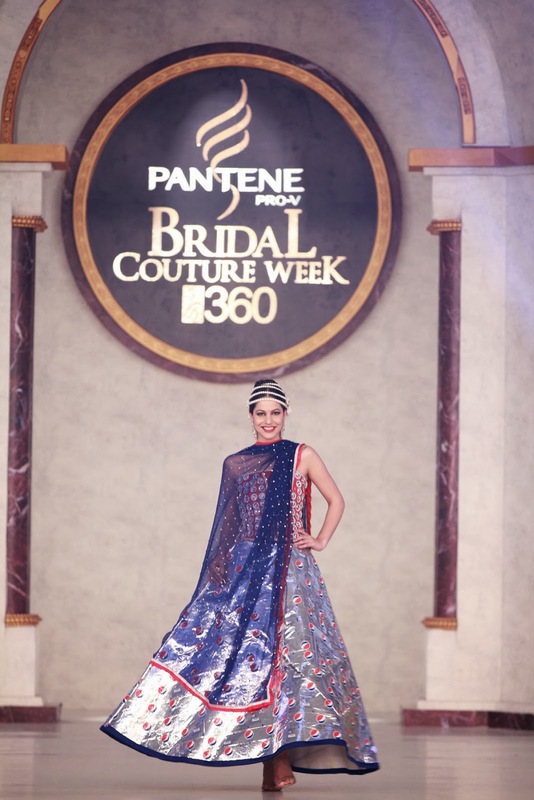 Lahore, November 29, 2013: Pantene Bridal Couture Week organized by Style360 kicked off to a rollicking start today. 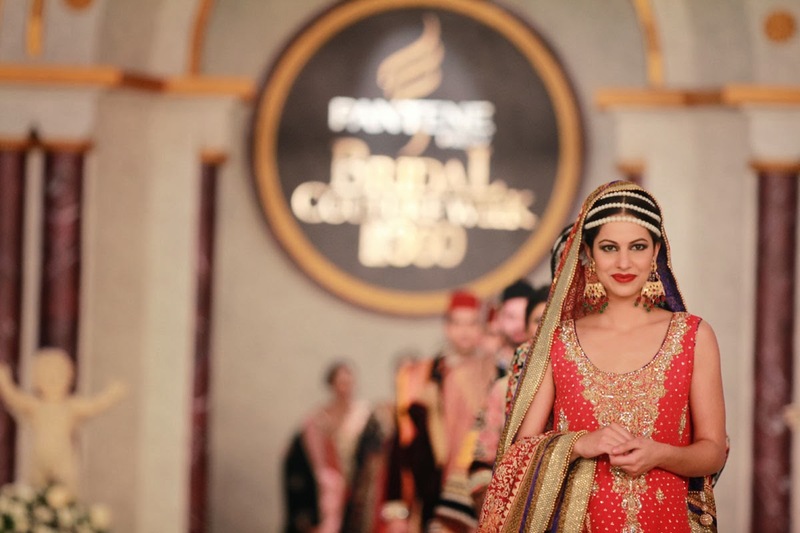 The beautifully decorated lounge and red carpet area, complete with fresh flower arrangements set the tone for the evening. 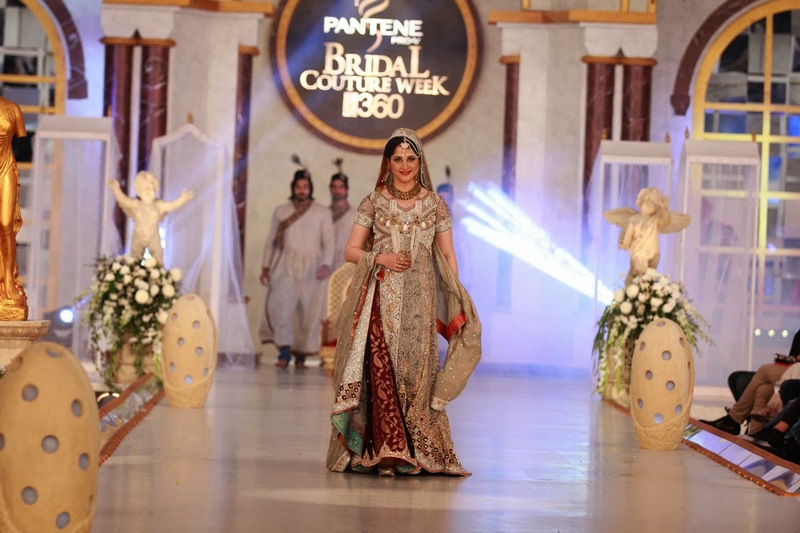 The ramp decorated with gold French architectural backdrop complete with picture windows, beautiful chandeliers, arches, picture windows and fresh flower arrangements all helped to give a surreal look to the venue. 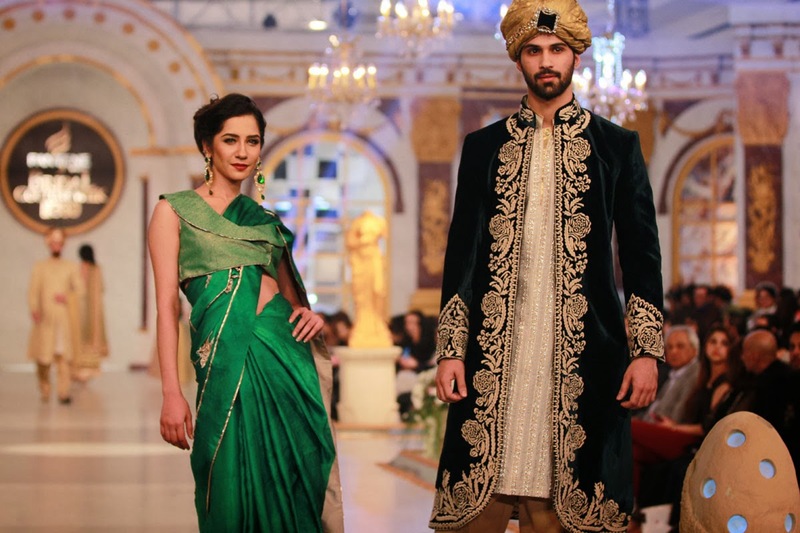 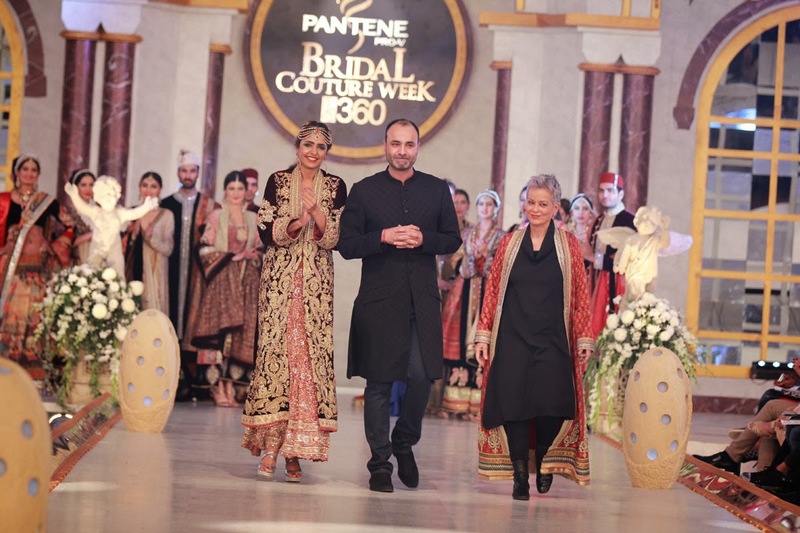 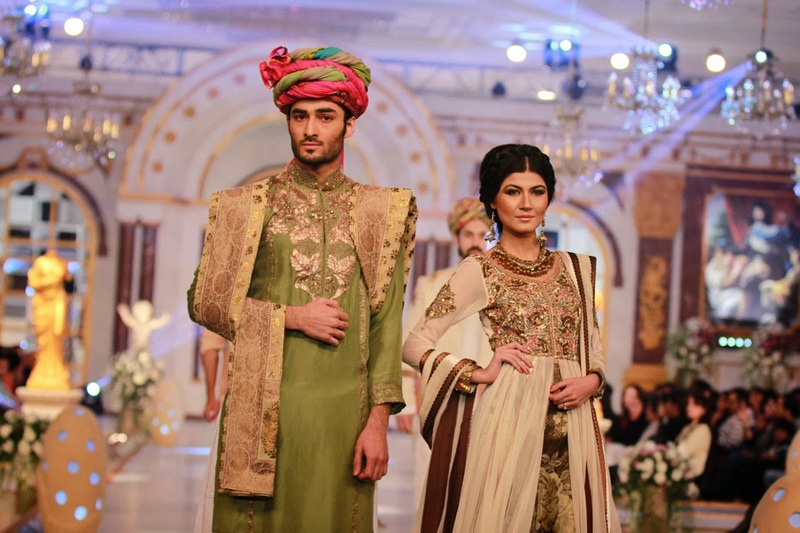 Opening the evening show on a grand and dramatic note was Fahad Hussayn. 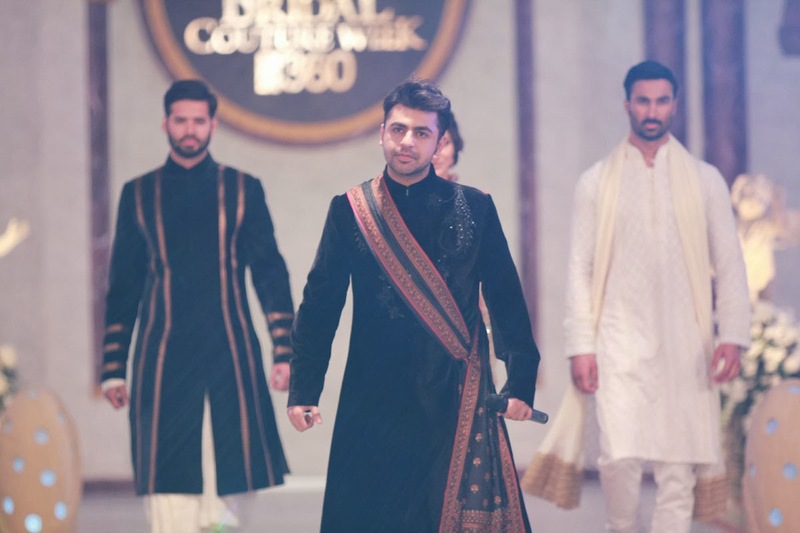 His off-white, self-embossed collection and champagne ensembles accompanied by bright kurtas for males and off-set by worked patkas were highly appreciated. 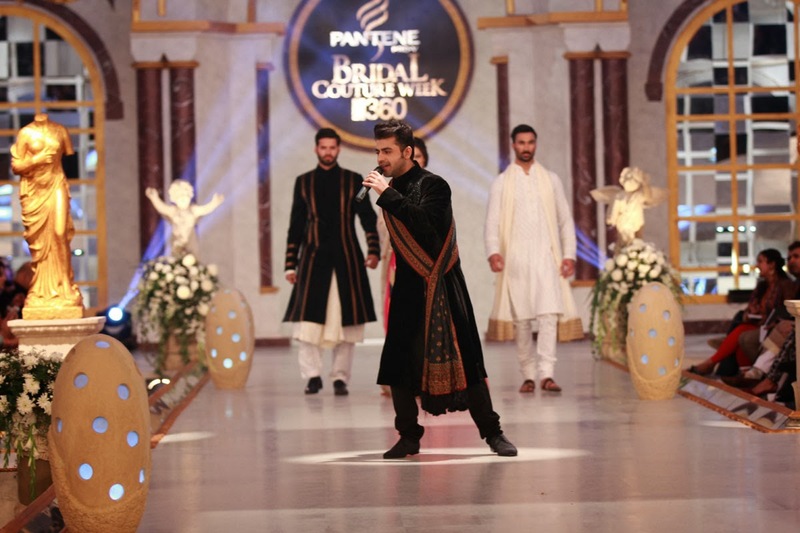 His showstoppers were donned by Maram and Abroo and coupled with the surprise entry of Farhan Saeed on stage singing, brought the house down. 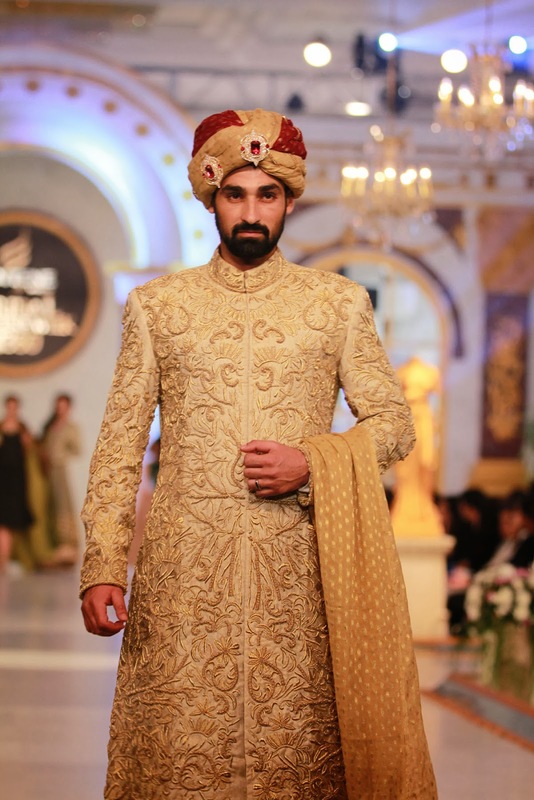 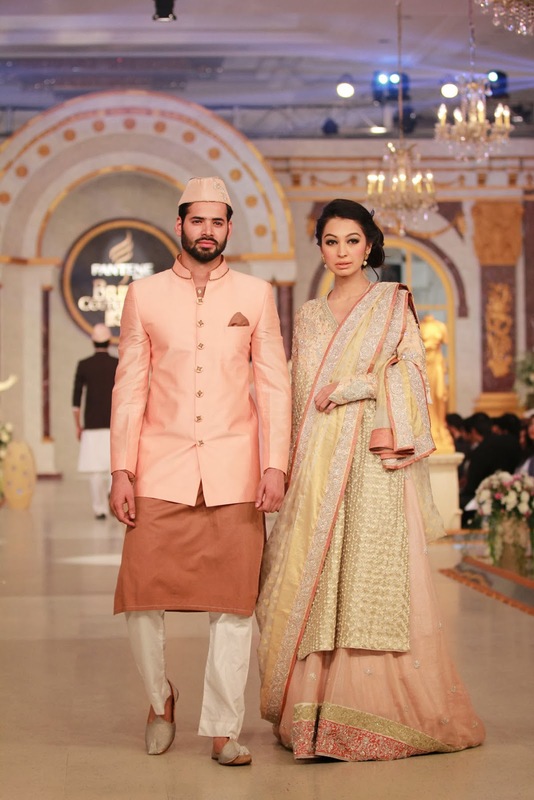 He was followed by Ammar Shahid whose fusion collection boasted elegant combinations. 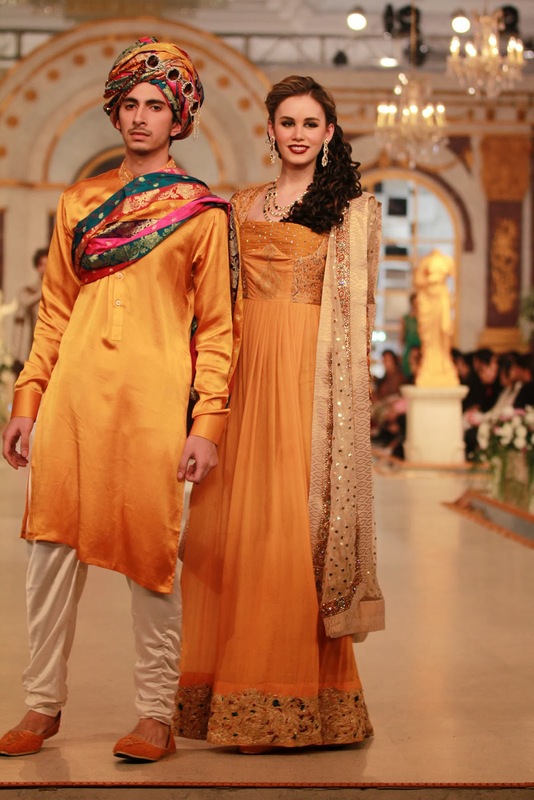 Up next was Arsalan Iqbal’s collection. 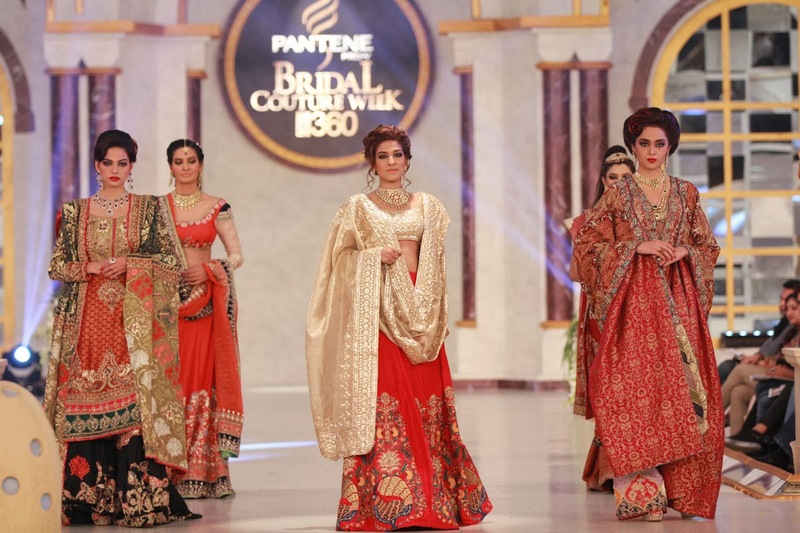 Hajra Hayat concluded the evening segment with an elegant collection that came to life with Fariha Pervaiz singing on the ramp. 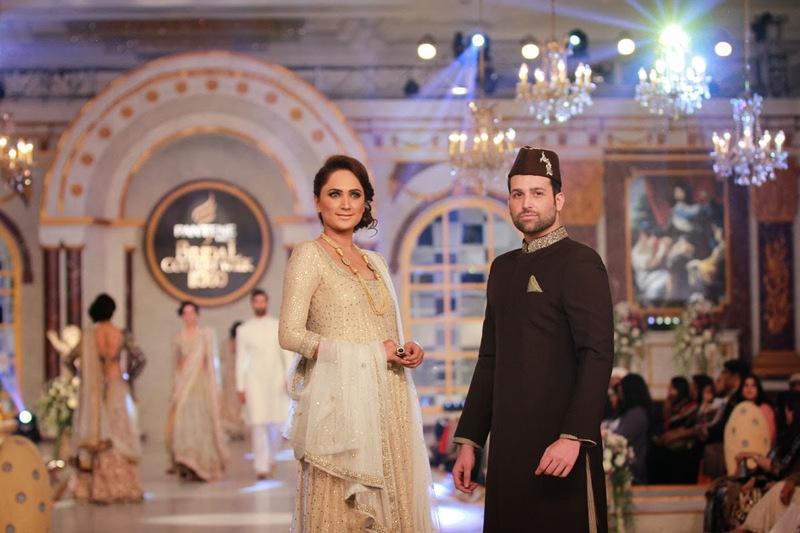 The night show opened with a bang with Deepak Perwani’s stunning collection boasting beautiful combinations and intricate embroidery. 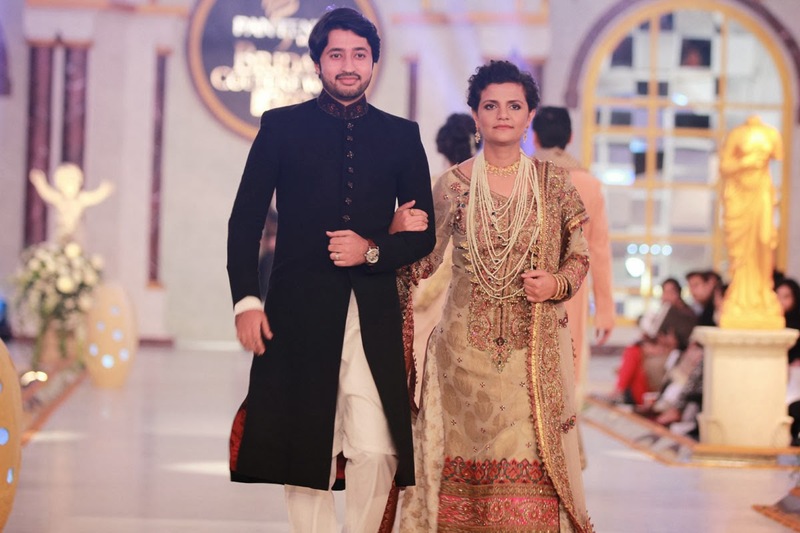 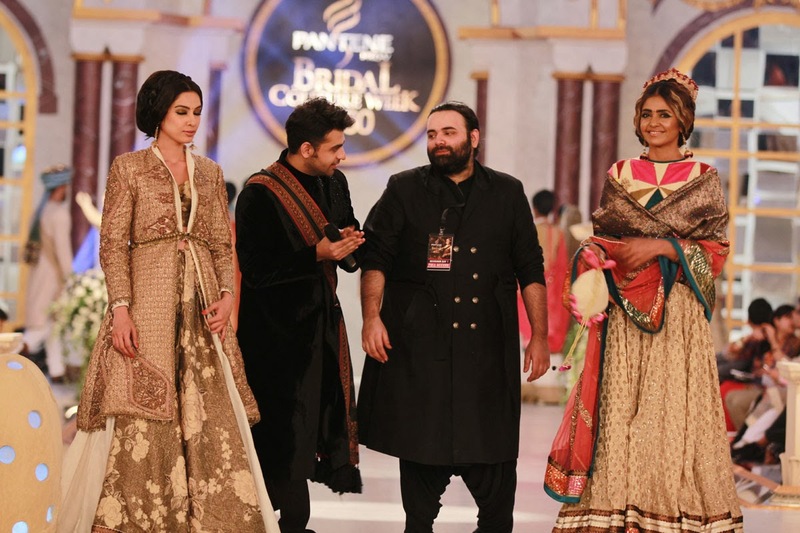 Maheen Khan wore his show-stopper jacket over a black suit. 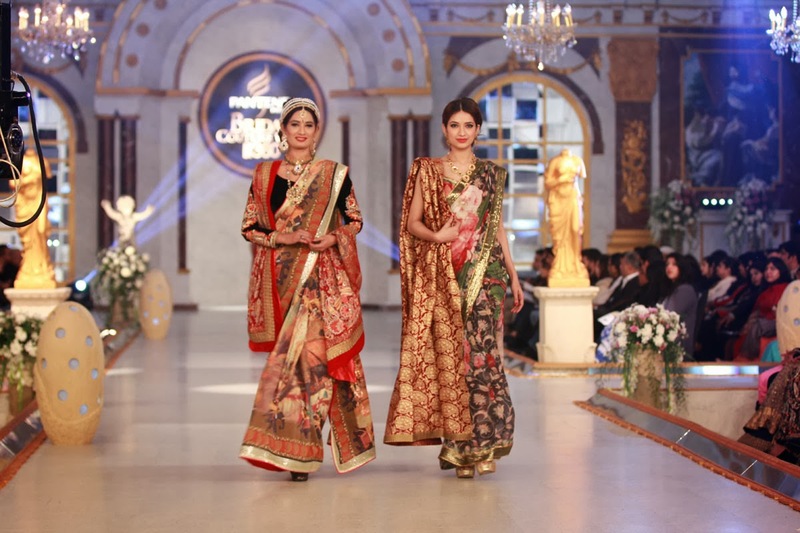 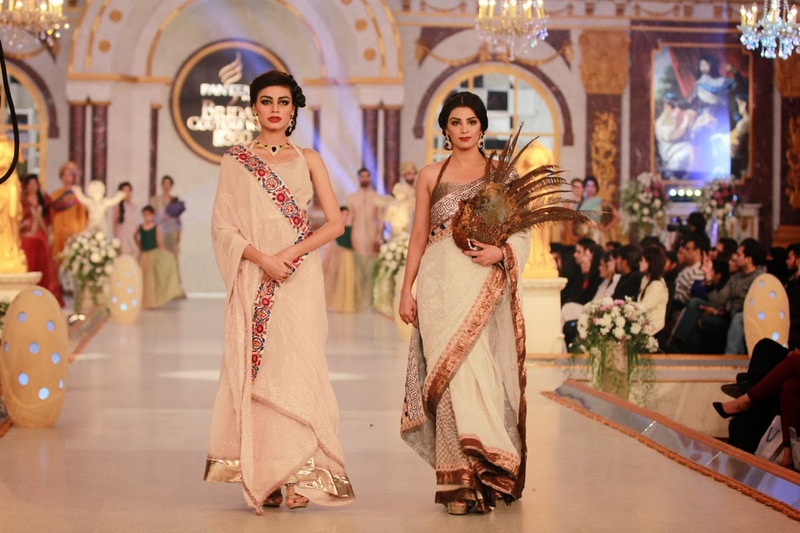 Ayesha and Somaya followed with an impressive collection of fusion wear. 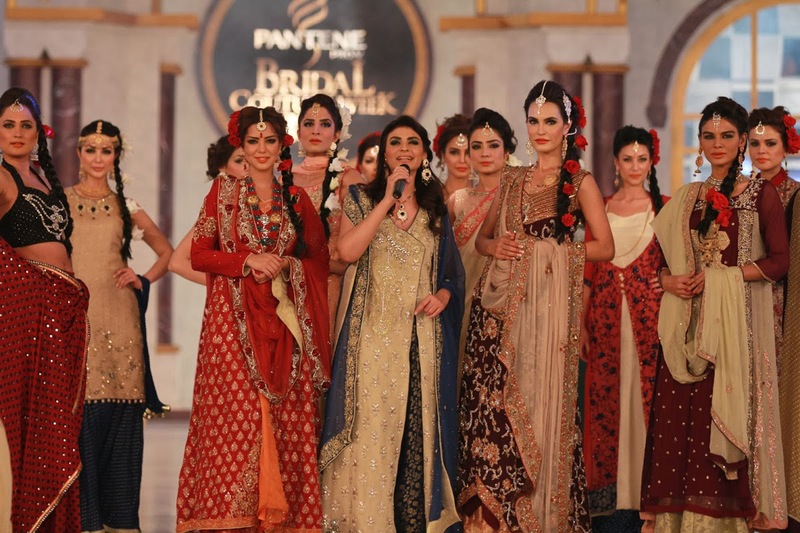 A special hair and makeup showcase by Depilex was up next. 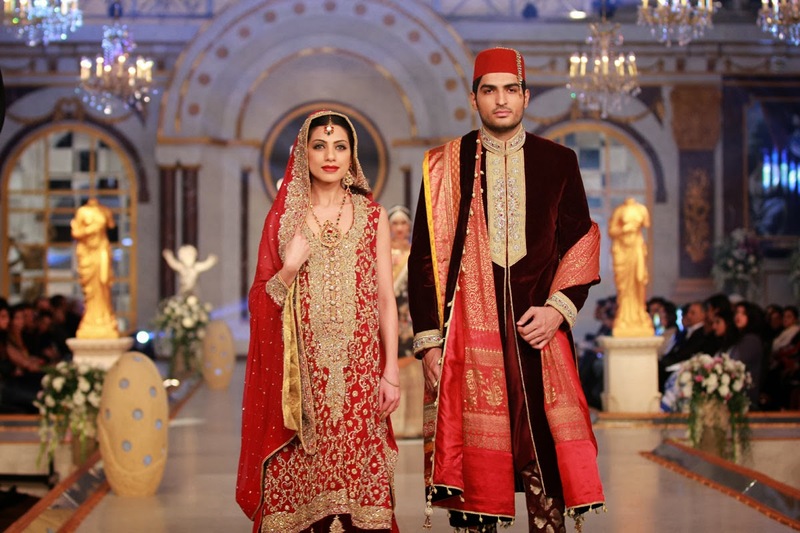 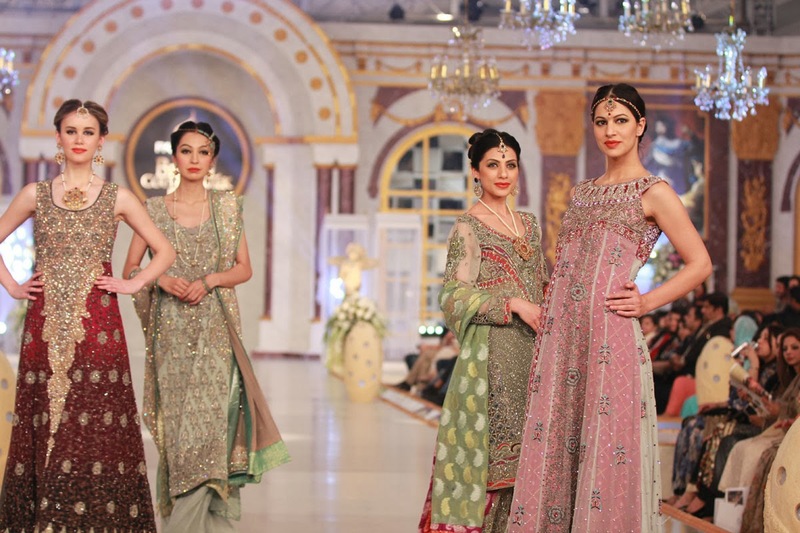 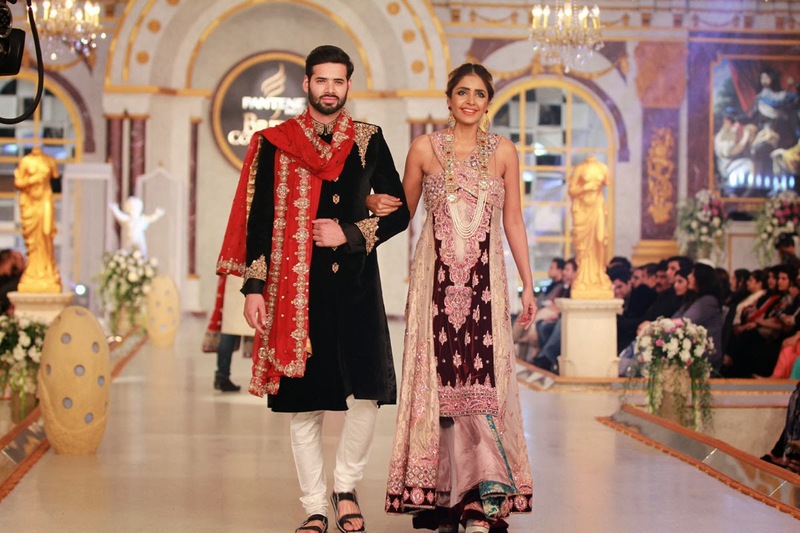 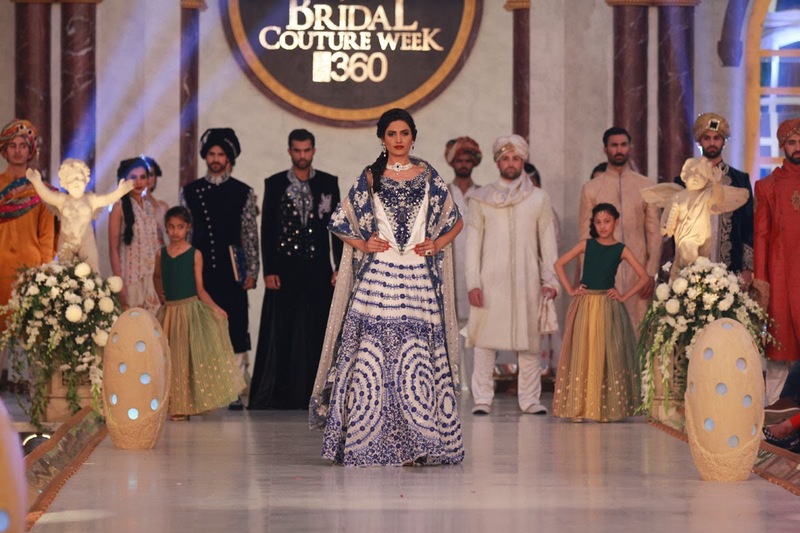 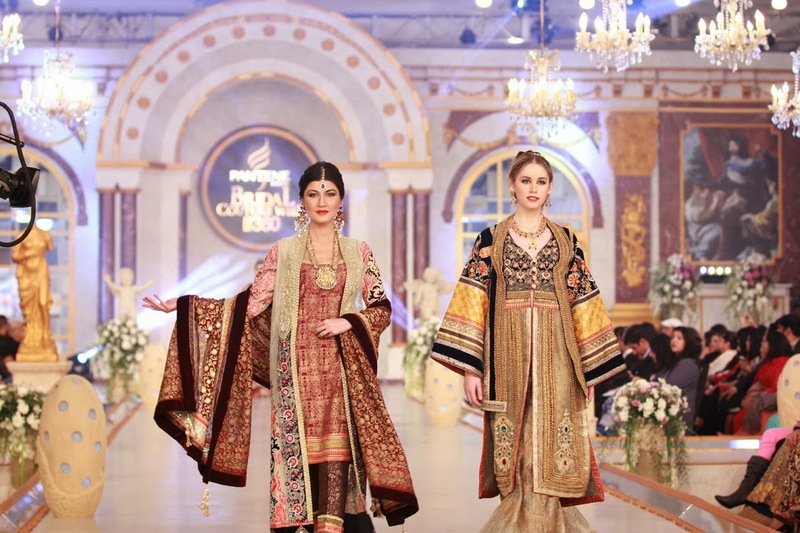 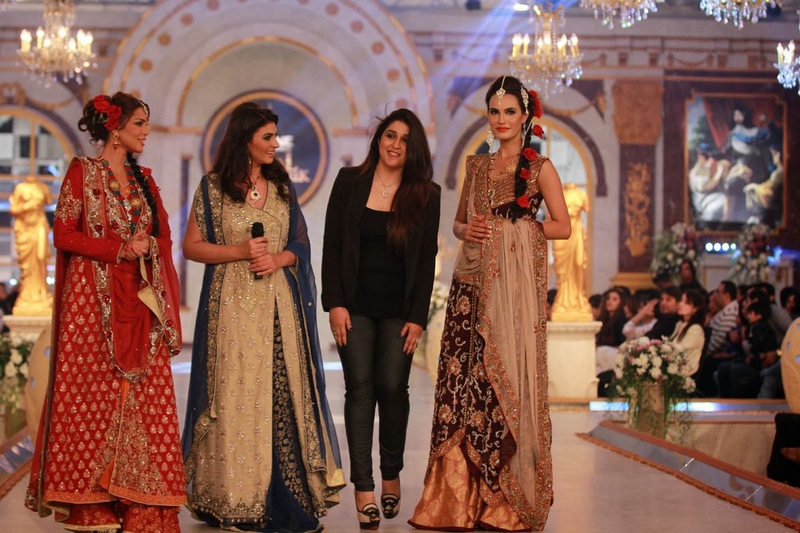 Shazia Kiyani followed with her beautiful bridal collection that was an instant hit. 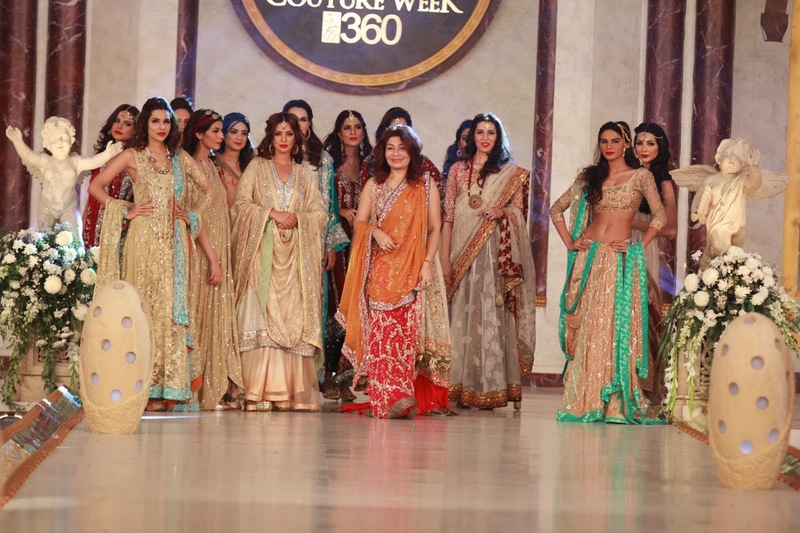 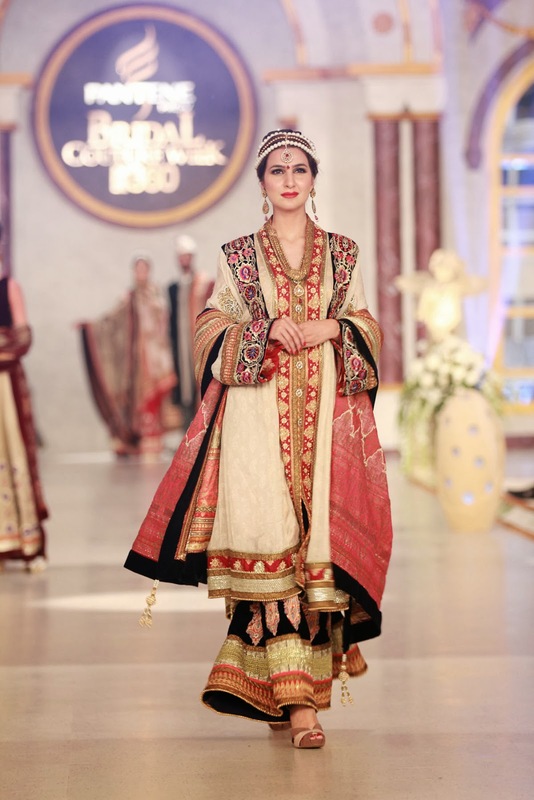 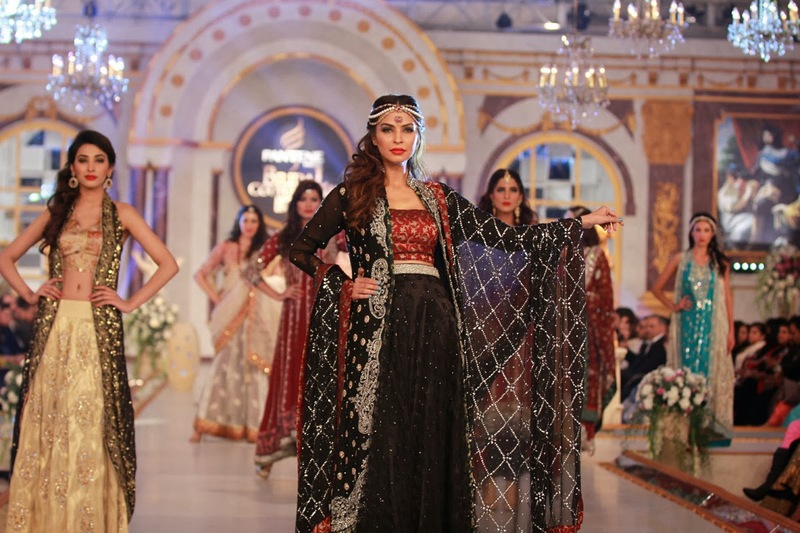 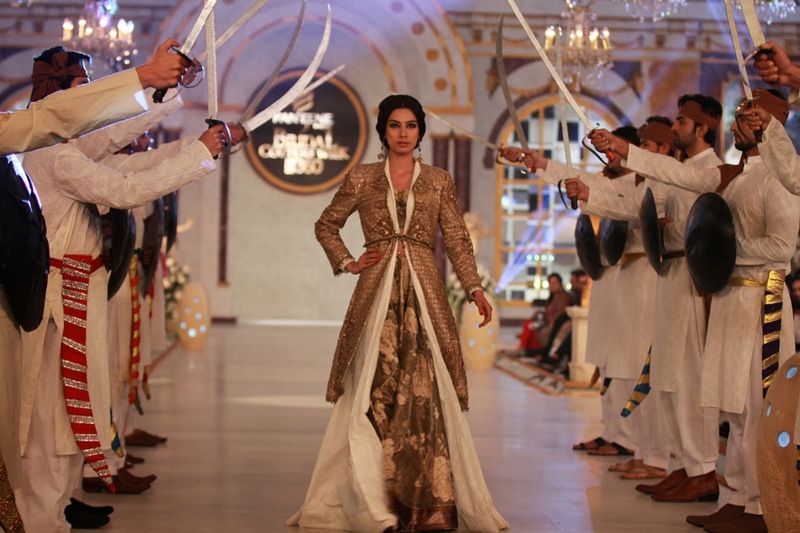 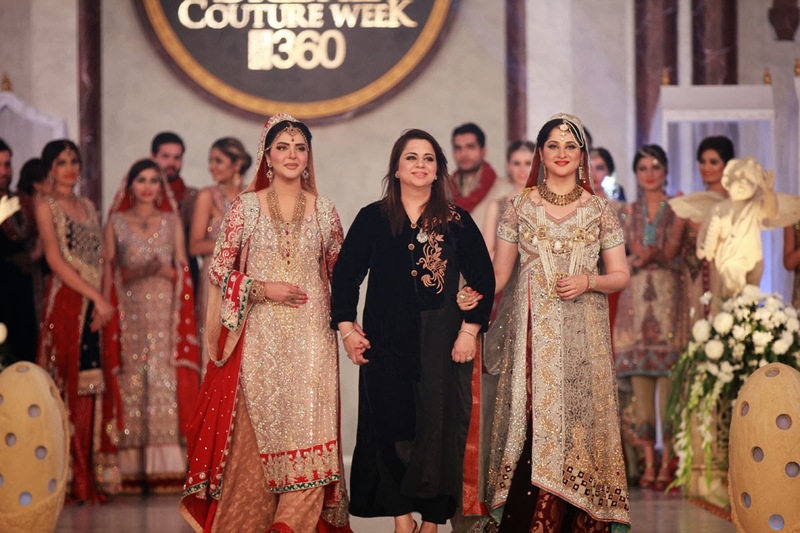 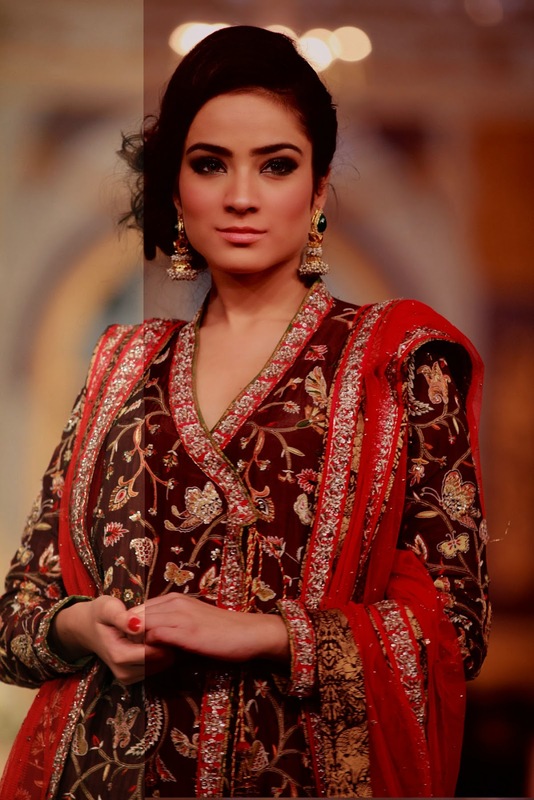 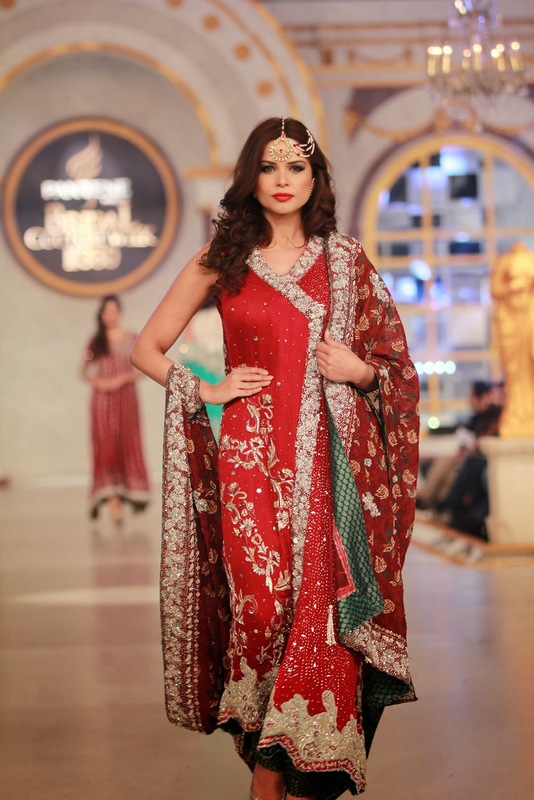 Her showstoppers were donned by Nida Yasir and Sahiba who made a dramatic entry on the ramp. 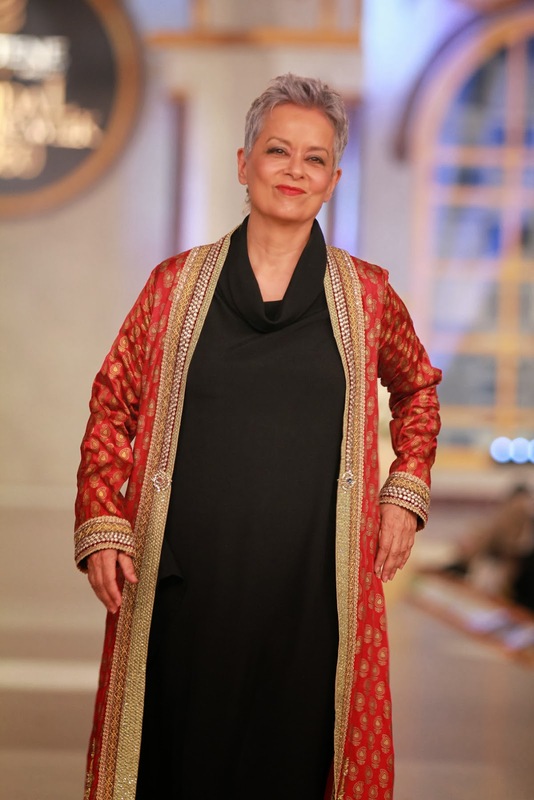 Nida Azwer brought the show to an end with her rich and heavily worked collection in earthy combinations.